What's the Difference Between the instax SHARE SP-2 and the SP-3? There’s something magical about holding a physical, printed photo in your hand. But there’s also something to be said for the advanced technology and image quality produced by modern smartphones—not to mention the convenience of having a high-powered camera and access to gazillions of photo editing apps in your back pocket. The instax SHARE SP-2 and instax SHARE SP-3 are two smartphone printers that allow you to instantly print your favourite shots. That means you can take the crisp, clear images you’ve captured on your phone, edit them to perfection, and print them onto real instax film.But what’s the difference between these two printers? And which is best for you? First, let’s discuss the features these two have in common. High-speed printing: Both SP-2 and SP-3 print photos in less than 15 seconds. Multiple templates: Both printers offer a variety of template options, including splitting one image into two, multi-photo collages and more. Custom filters: Both printers have built-in filters, including Image Intelligence™ optimum process technology. 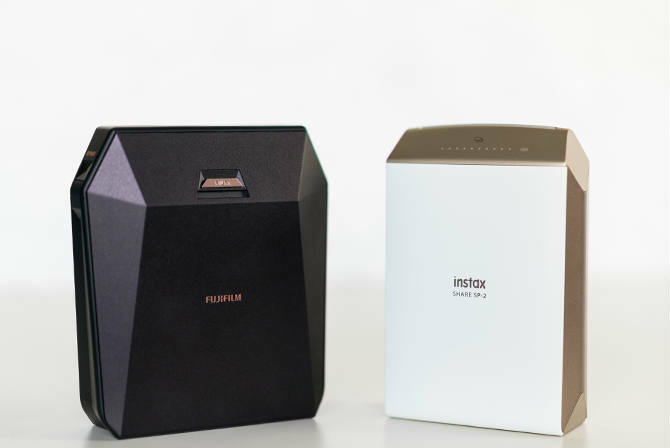 Compatibility with FUJIFILM cameras: Both printers allow you to send photos directly from compatible FUJIFILM digital cameras to the instax SHARE app. Now let’s take a look at what sets each printer apart. Film size: The instax SHARE SP-2 prints rectangular 62mm x 46mm images while the instax SHARE SP-3 prints square 62mm x 62mm images. Printing capacity: The SP-2 can print up to 100 images on one battery charge while the SP-3 can print up to 160 images on a single battery charge. Charging time: The SP-2 takes about 90 minutes to charge while the SP-3 takes about three hours. Available colours: The SP-2 is available in silver or gold while the SP-3 is available in black or white. As you can see, the two printers are similar with a few minor differences. The most important difference between the two is the film size. To determine which printer is best for your needs, simply consider whether you prefer rectangular or square photos. Or, if you can’t make up your mind, grab one for yourself and snag the other for one of your mates. That way, you always have access to both!